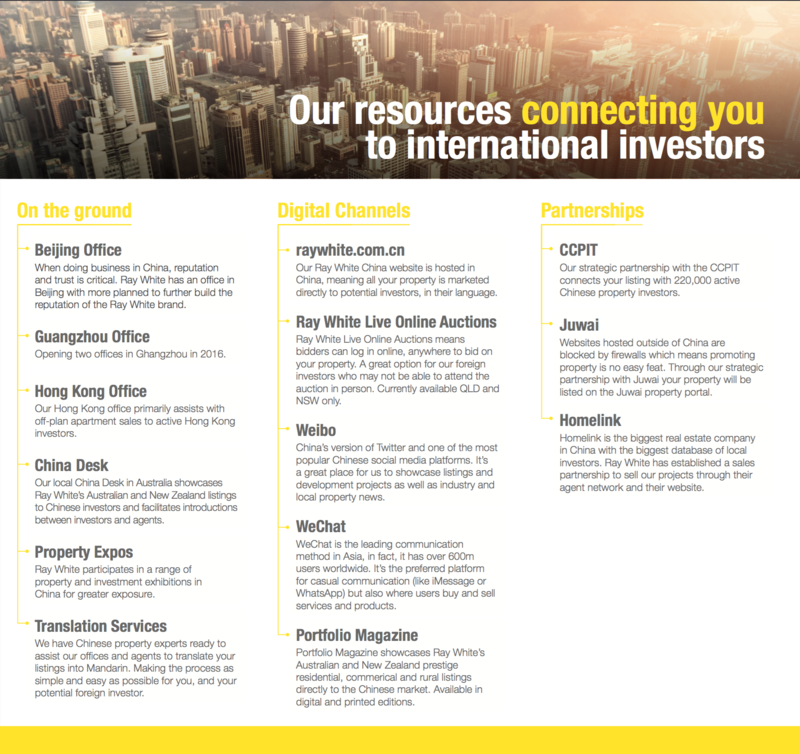 Why Sell with Ray White Double Bay Group? Our aim is to exceed your expectations in the preparation and sale of your property. At Ray White Double Bay Group we understand the importance of selecting the right agent and knowing that you are with the best to get the desired result. While the Ray White Double Bay Group has been established for many years and we have always understood that markets change and evolve and we have also evolved. Today our business is structured so that we can work alongside our clients with different lifestyles and expectations. Our offices are ideally located so that we can tie into shifts in demographics and by covering varied lifestyle options we can match our clients needs (e.g Empty nester downsizing, professionals and families upsizing and first home buyers entering the market). By operating as a regional team across the East and Inner City we can match supply (listed properties) and demand (buyers’ requirements) for varied housing options. We listen to our clients so that we can give intelligent advice with a low stress, highly professional and innovative approach to selling your property. We understand the value of different markets, and we work as a team to deliver outstanding results through knowledge, experience, hard work and a personal focus on every appointment. Award winning innovative marketing solutions which consistently target and attract the right buyer. In today’s market, achieving the highest possible price requires considering an Asia marketing strategy. This has already led to premium prices for properties in your area. Could international buyers pay more for your property? Ask us how today.